Would love to come for din din next time I’m in good old California. I came across your site as I was taking a gander at Zest Lit’s contributor list. They’ve accepted one of my tales for next month’s issue. Have a nice day. I like your book title’s name. Well, nice to meet you! Congratulations on being accepted in Zest Lit. I’ll keep my eye out for their next issue. They were delightful to work with. I’m glad you like the title of my novel. Now, to get it published! Just clicked through to Zestlit from your blog and loved your piece, “Now What?” That’s a question that pops up all through life, doesn’t it? Every transition brings it on. Lately, I’ve been pondering how used I’ve gotten to the empty nest and have, like you, been afflicted with the urge to downsize only to find that the economics aren’t always in our favor. Glad I found your blog (through Harper Faulkner’s recent post on re-blogging) and will be following to see what happens next. That is awesome Elizabeth! I adore Harper. He always makes me laugh or think. Or both. We looked for a new place in ernest. The only thing it would give us is a smaller house (needing repairs/renovation) and the same size mortgage. As you said, the economics didn’t make sense. With the kids home over Easter break, I was happy for the extra space for everyone and all their stuff. My kids don’t travel lightly. I really enjoyed it, especially since my baby just turned 18 and will soon be going away to school. I’ve been a mother for a long, long time and I have to say… I’m both dreading and looking forward to my freedom. How in the world did you come across Zest Lit? I haven’t had a chance to read all on the contributions yet but I have to say I am pleased with how professional the publication looks. Katy and Amy did a fantastic job. I am delighted you read my piece and enjoyed it. And, thank for you taking the time to circle back hear to tell me you did. With one about the fly the nest, I bet the piece hit home for you. I think Paris is an excellent idea. I’m in the mood for a glass of wine at a sidewalk cafe. Care to join us? You are!?! That is so cool! Give Kate a hug for me. I am happy to take your survey. And I’m off! You are brave to post your email address! Found you through the Wanderlust Gene. Cheers! (Raising a glass of red wine – Washington State varietal). I love The Wanderlust Gene. Her exotic posts make mine feel so boring. I haven’t had any problems with my my email address being out there. In fact, only good things have come my way. Fingers crossed it stays that way. 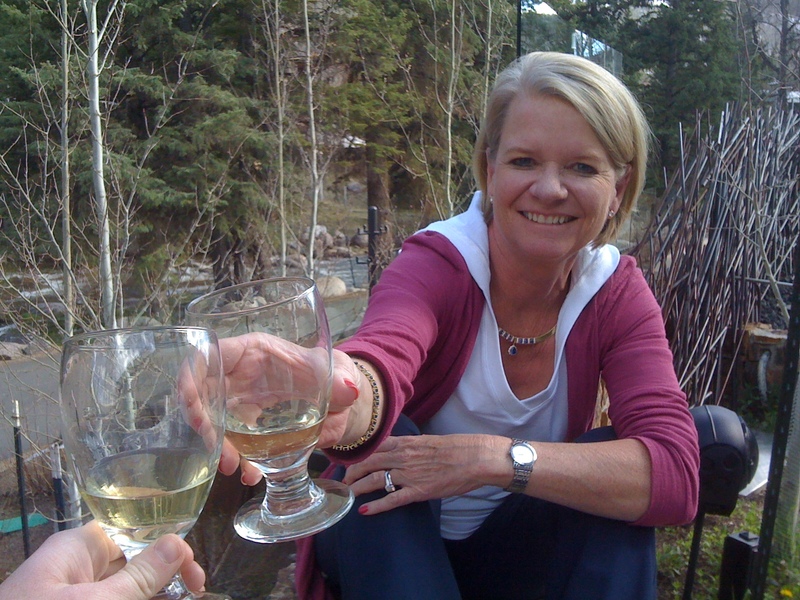 Oh, and cheers to you with a glass of California varietal Chardonnay! Glad to make your acquaintance, especially over a glass of wine! You are the BEST! Thank you and congrats to you. Robin! I loved your posts on cursive!! I missed that article in the Sac Bee. I sent the first one to my facebook page because it hit home for me. My daughter has beautiful cursive and I am so grateful that she learned. However, she is in a Catholic elementary school and knowing cursive is a requirement and is taught in grade two and very reinforced in grade three. Overall…I enjoy your posts and will continue to follow you! Well thank you so much! The article hit home for me too. It is crazy to think that my future grandchildren won’t be able to read notes I send to them if I write them in cursive. And that cursive will look like a foreign language to our future generations. Tragic. Thank you for the follow. I appreciate it so much. I’m going to be in and out of blogging for a time. Long story short, my dad is in a nursing home and my mom has Alzheimer’s. I’m in Portland, Oregon right now to find a home for my mom. I’ve blogged about the rough patch our family is in right now. It stinks But, I’ll be back! I look forward to checking you out. Thanks Robin! I’m enjoy your style. I agree with you about the loss of cursive. I actually contacted the professor from ASU who is referenced in the article. He promptly “put me in my place” and sadly, it is overeducated idiots who are supposedly doing teacher training. My degree is in anthropology & history and everything that I learned in those fields tells me that losing cursive is a really bad idea! Sorry to hear about your folks and the issues you have to deal with! Been there, done that! He put you in your place? Well that wasn’t very nice. Sorry to hear you have been through issues with your folks. Did it all work out ok? Dumb question, right? We all meet our maker in the end whether we like it or not. Mom and Dad are looking at the end and fighting it. Both in different ways are resisting the inevitable. I’m ok with that. I’ll try to get over to your blog, but am embroiled in a situation with my folks right now. Sorry . . . it might take me a while. Hey you, hop over to my blog to see what I left for you! Hey robin how would you feel about reviewing some of my books for me before I release them? Wow. I’m flattered! Shall we talk about this off-blog? My email address in on my “Write me” page. Hey Robin, I’m an aspiring writer and blogger (I figure in this day and age, these two are practically one in the same) and I noticed in one of your posts that you have recently surpassed some incredible milestones. First off, congratulations! Second, do you have any advice on how to reach the same sort of success you enjoy? Hi Peter – They are one in the same aren’t they? Things starting taking off around here when I posted a blog everyday (or close to), and found, followed, and commented on like-minded blogs. Engaging with other bloggers is rewarding on a personal level but also, they will often follow you back. I think the MOST important thing is good content to keep them coming back. That is where the real work begins. What is your blog address? I’d love to take a peek. I’ve been nominated for a Liebster and I’m passing on the joy… to you! Fantastic Maggie! Thank you. Watch for my acceptance speech soon! Good luck on the contest! Kudos to you for just doing it. What contest was it? Thanks for the wish for luck! Found you by happenstance seeking dachshund art and found William reading your rough draft… so decided to read more and liked your blog. I would love to get over my writer’s block that I have had for quite some time now, this may be the ticket! Happy writing and looking forward to more. I hope by signing up with my email address will keep me updated. Hi Jamie ~ I love the word “happenstance” because I love when “happenstance” happens! I have to ask . . . why were you looking for dachshund art? Did William make the grade? Also, what’s going on with your writers block? Thanks for signing up to follow my blog and let me know if you don’t receive it. Are you a WordPress user? If not, I believe you have to sign up. You just need a user name and password. 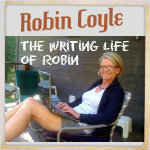 Thanks for following me Robin, love your blog thanks again ! Thanks Trey – love yours too! Oh, and I have lots of material to embarrass Paige! Mrs. P., I sent you an email.